The CardioChek Large Smart Bundle provides an accurate & cost effective method of managing cholesterol and glucose levels. 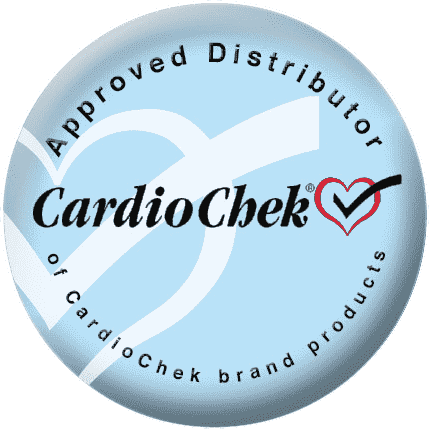 It is intended for use by professionals using the CardioChek Plus. Includes 15 lipids and 15 eGlucose test strips. 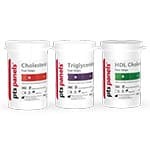 CardioChek Smart Bundle Cholesterol Test Strips / Glucose Test Strips are intended for use by healthcare professionals to measure cholesterol and glucose with whole blood samples using the CardioChek Plus analyzer. CardioChek Smart Bundle Lipid/eGlucose test strips offer a complete lipid profile including HDL, LDL, triglycerides, and total cholesterol. Lipids and eGLU may be tested with the blood of a single finger stick. The CardioChek Smart Bundle provides an accurate and cost effective method of managing cholesterol and glucose levels. A MEMo Chip is provided with each package of test strips that contains the test name, calibration curve, lot number, and test strip expiration date. The MEMo Chip must be properly inserted into the analyzer before any tests may be run. Each cholesterol and glucose test requires an individual blood sample that may be acquired from a single finger stick. After the test strip is inserted into the analyzer and whole blood is applied, the results are displayed in 10 seconds if testing glucose only, or 2 minutes if eGLU is run in conjunction with a lipid test. Meets NCEP guidelines for accuracy and precision. Is also CLIA-waved, FDA-cleared, CRMLN-certified and CE-marked.